Taiwan saw the first bluefin tuna catch of the year. It’s one of the most expensive fish and it weighed in at a whopping 210 kilograms. A lot of people rushed to the market early on Monday morning to see it. Fireworks welcome the first bluefin tuna catch of the year in Taiwan. This crew caught the very expensive fish early Monday morning on their second day out to sea. The captain and crew were very happy and brought the giant fish right back to the harbor at Suao, in Yilan County. The bluefin tuna is one of the most valuable fish in the world. This one weighed in at just over 210 kilograms. A lot of people came early in the morning to see the massive tuna fish. Yilan County chief Lin Zi-maio was also on hand to help auction off the fish. The huge bluefin tuna was sold for…NT$7000 (or about US$230) a kilogram. The captain and his crew were delighted at the price. That adds up to nearly NT$1.5 million (about US$50,000). 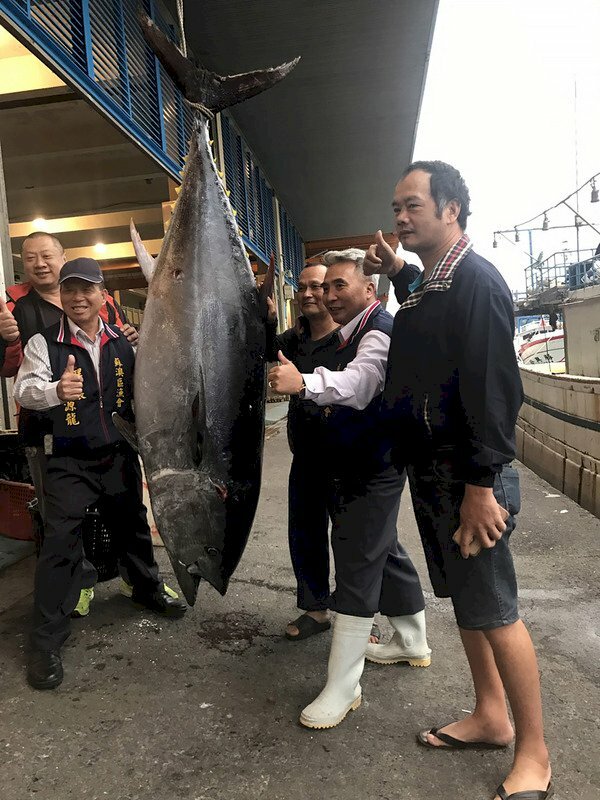 To qualify as the first bluefin tuna catch of the year, the fish needs to weigh at least 180 kilograms, be caught by a Suao-registered fishing boat and be certified by a 5-person group. The fishermen at Suao are thrilled at Monday’s catch and hoping for more to come.